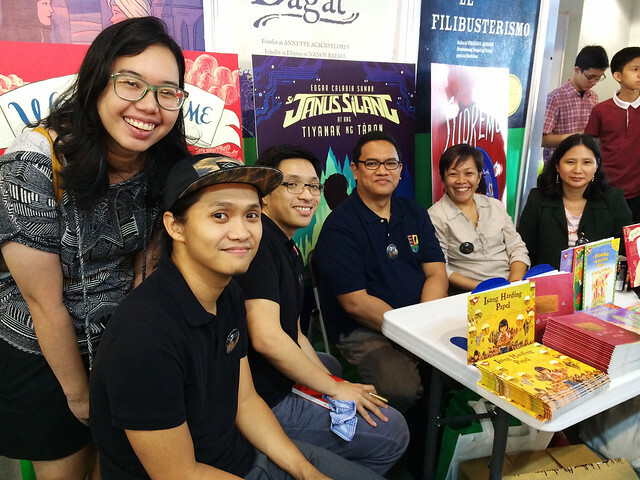 Last September 21, during the 42nd Anniversary of the declaration of Martial Law in the Philippines, we held a book signing at the Adarna House booth at the Manila International Book Fair. 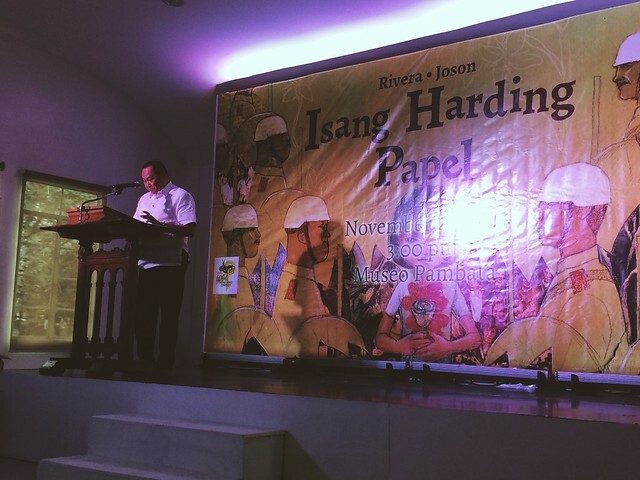 Written by Augie Rivera,“Isang Harding Papel” is a historical children’s book about this dark period in Philippine history. 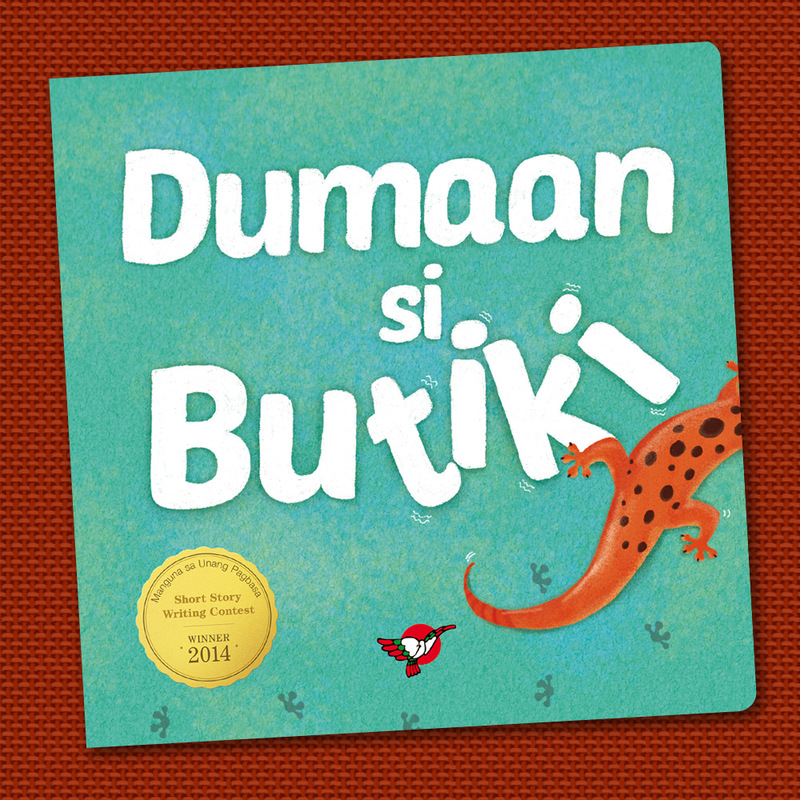 The book is now available at all leading bookstores in the Philippines or at the Adarna House showroom and website. 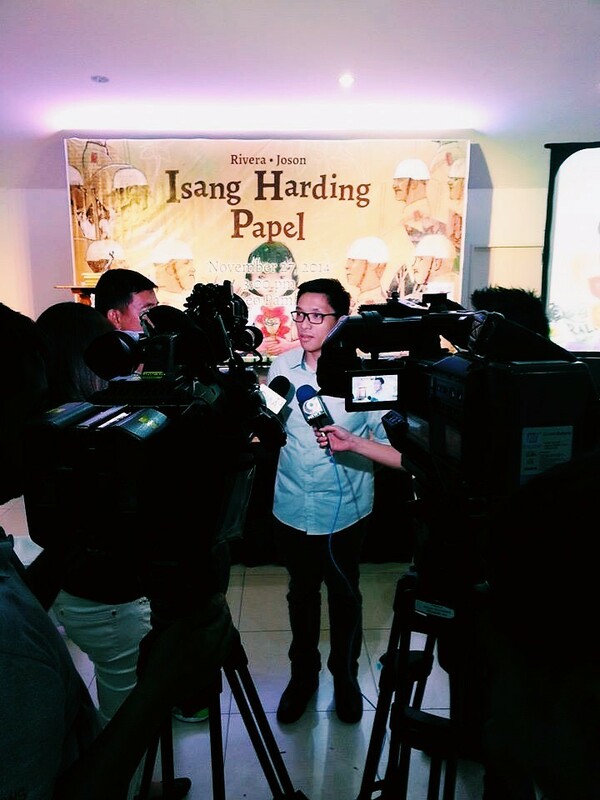 I’ve been busy these past few months working on an upcoming children’s book entitled “Isang Harding Papel” set during the 1970s – the Martial Law years. 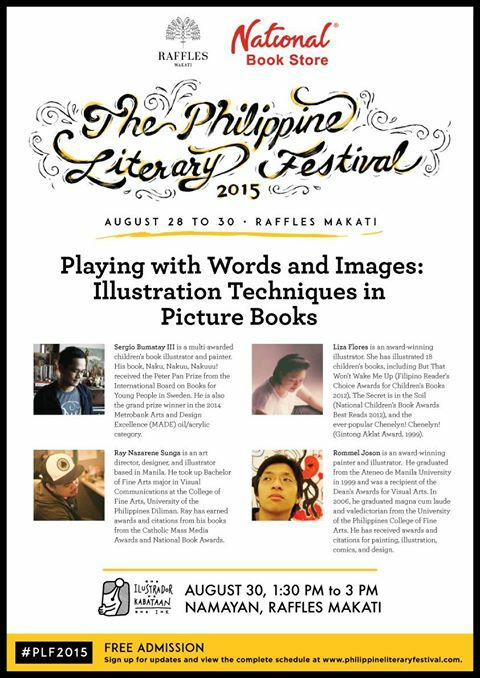 Written by Augie Rivera and published by Adarna House. 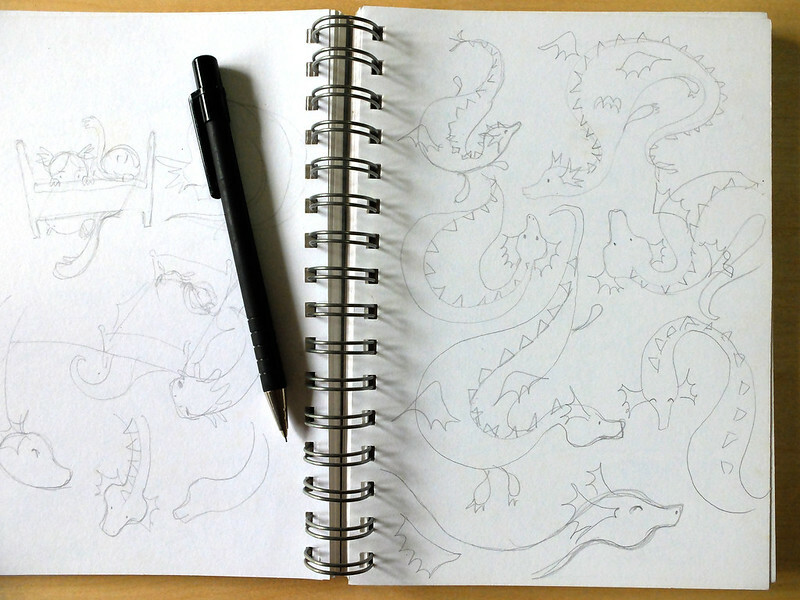 The book will be coming out soon. 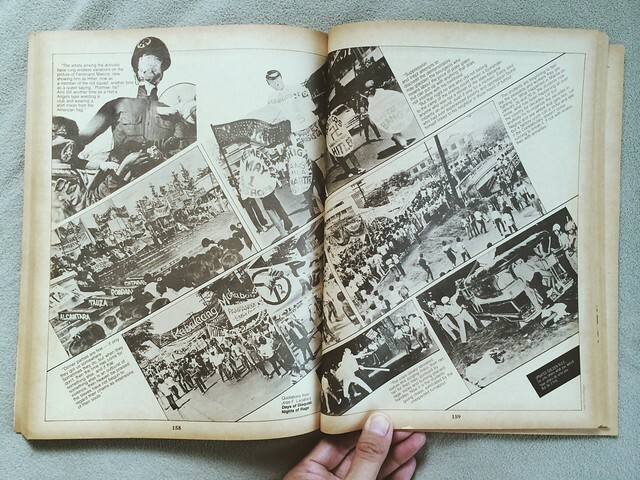 As with all period stories, research is essential; not just textual research but visual as well. 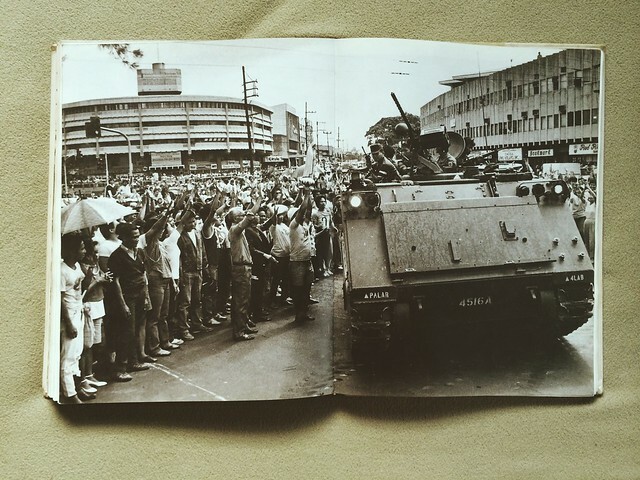 Protest pictures were relatively easy enough to find, as well as images of the infamous Metrocom that truncheoned protesters into submission; but the smaller things proved a bit problematic. For example, what did the National Highway known as EDSA look like before ugly gigantic billboards sprouted up and blotted out the sky? 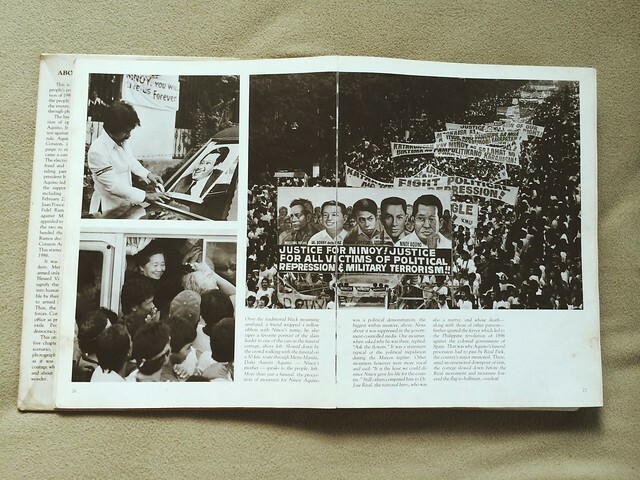 What did the old propaganda billboards of President Marcos and Imelda Marcos look like? Tight timelines only allowed me internet research with Google image search providing the bulk of the reference pictures. Some sites were particularly useful to my research, though. 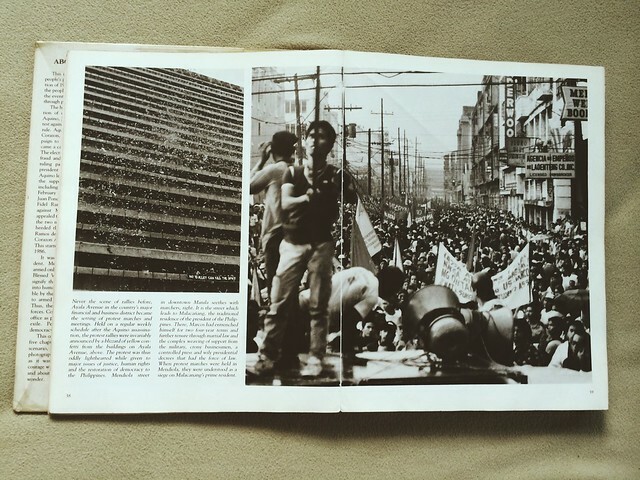 The blog site The First Quarter Storm Library had a lot of protest images during the early 70s while the flickr site by Gorio72 had loads of bus images and advertisements from various decades in Philippine history. 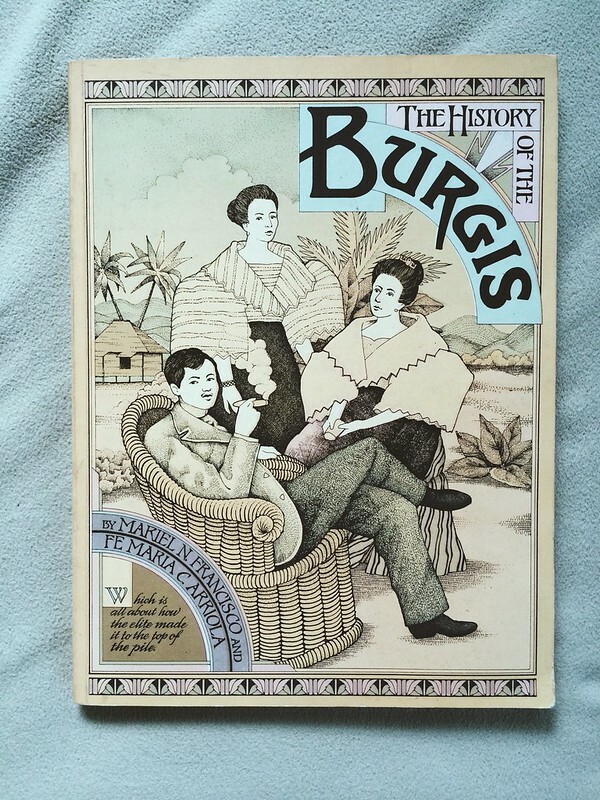 I was also able to grab some reference pictures from the long out of print book “The History of the Burgis” by Mariel N. Francisco and Fe C. Arriola published in 1987. 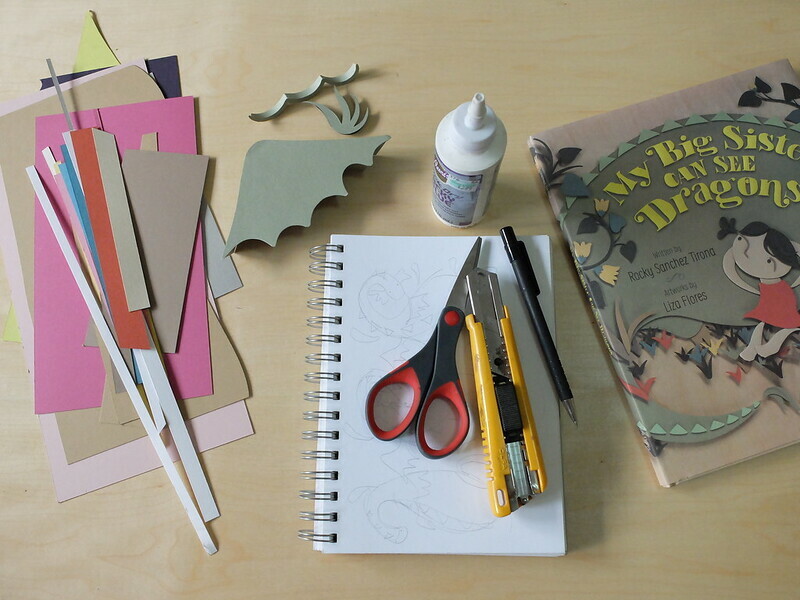 Here is a little glimpse inside the book. 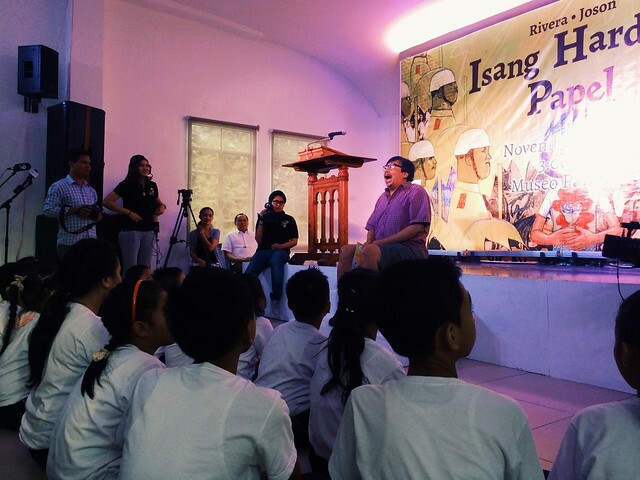 For more information about Martial Law and its victims, here’s a link to the Martial Law Memory Project initiated by online news portal, Interaksyon. 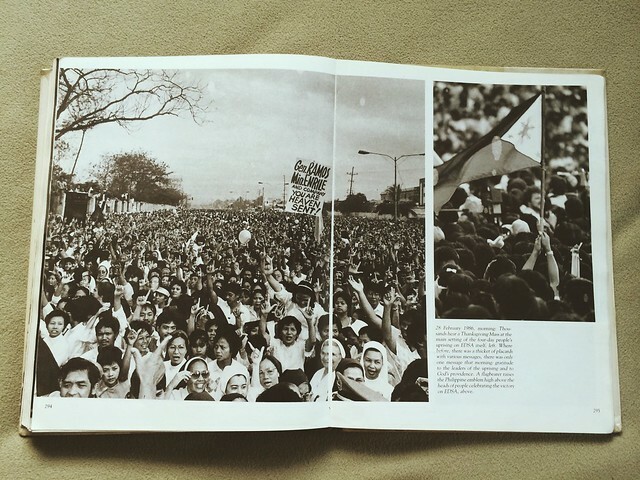 I have always been fascinated with this era in Philippine history and it amazes me that in just two decades after Ferdinand Marcos’ exit, people’s feelings about Martial Law are slowly changing from outrage to ambivalence, and for some even fondness. More stories have to be written, movies filmed, and pictures made about our past so that we won’t easily forget. 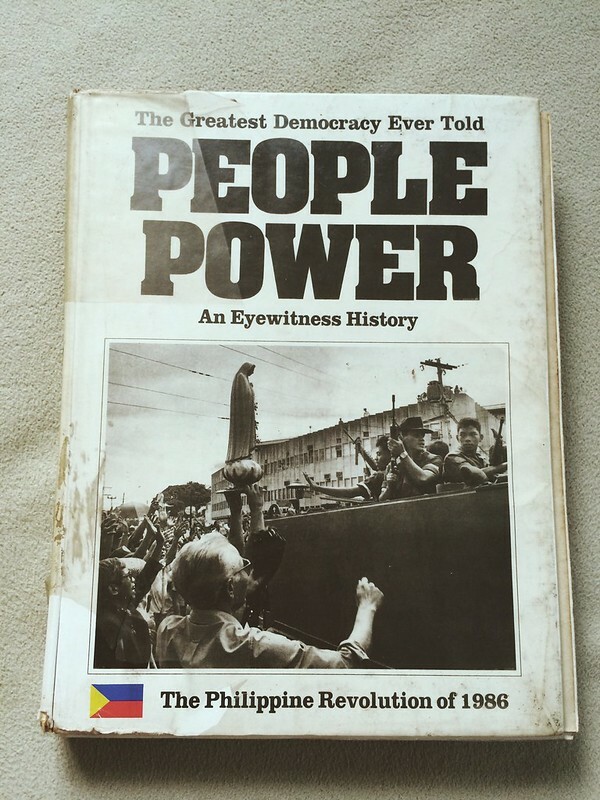 Lastly, another book that was useful in my research is a pictorial account of the EDSA Revolution – the bloodless revolt during February of 1986 that toppled the Marcos regime. 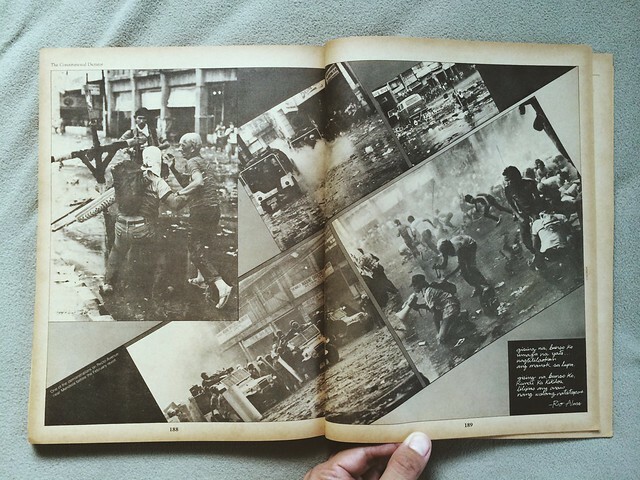 I was only 7 at the time of the revolution but I had vague memories of seeing the coverage on TV and the fervor of those heady days spilling onto our school. 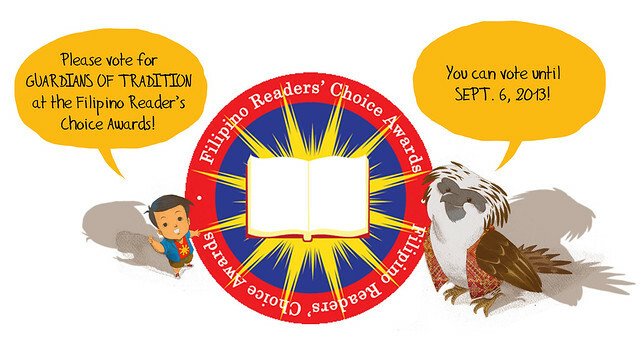 Vote for Guardians of Tradition at the Filipino Reader’s Choice Awards! 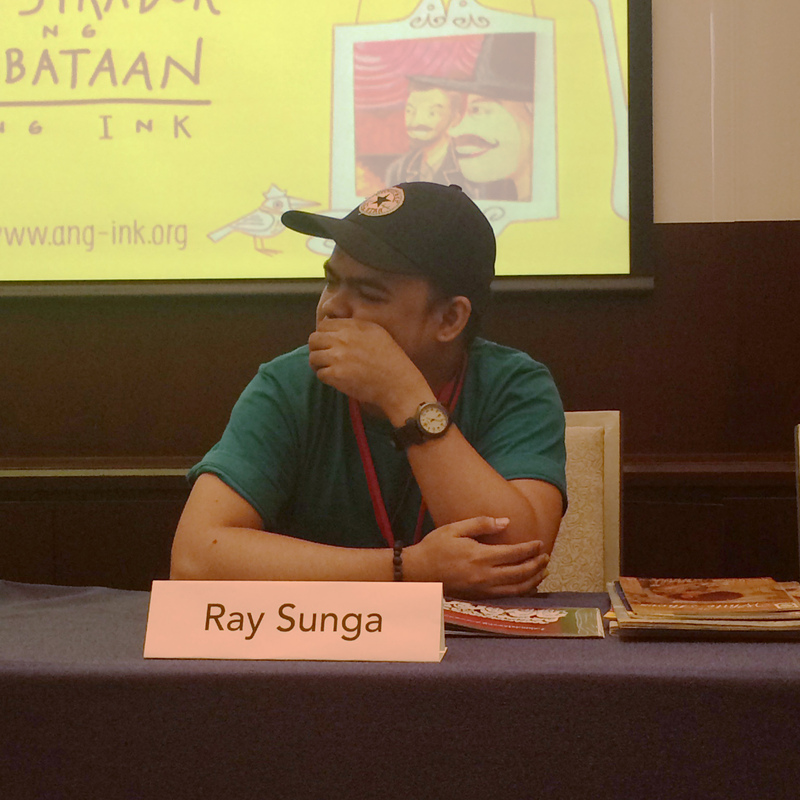 I just found out that Guardians of Tradition, the book that I helped design and illustrate, was nominated for this year’s Filipino Reader’s Choice Awards. Online voting is currently open until Sept. 6, 2013. 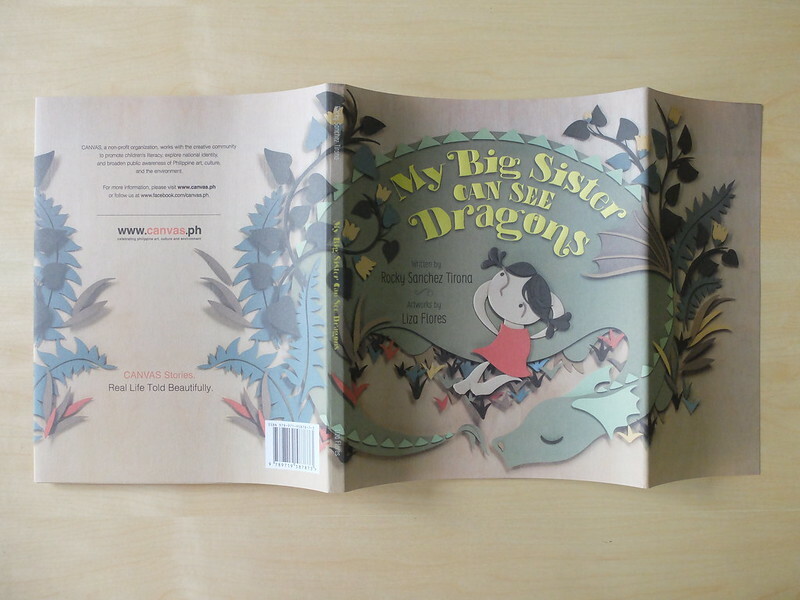 The book is nominated under the Children’s Picture Book Category along with a lot of other terrific children’s books, a majority of which were made by my friends. 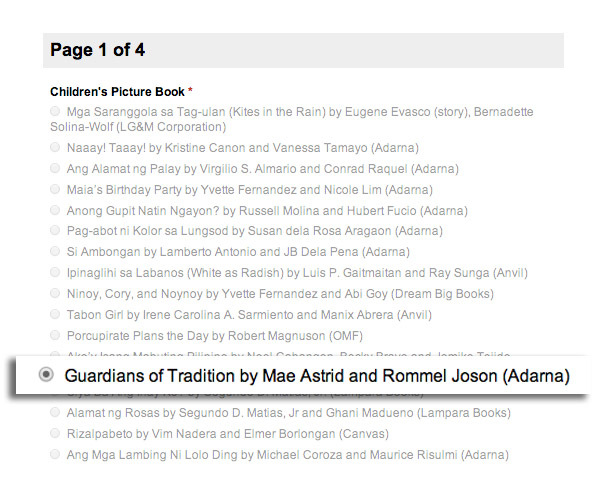 What is surprising though is that Guardians of Tradition is the ONLY NON-FICTION children’s book in the category. I hope Filipino readers out there can find time to check out the book and vote it in the Filipino Reader’s Choice Awards. You can vote HERE. 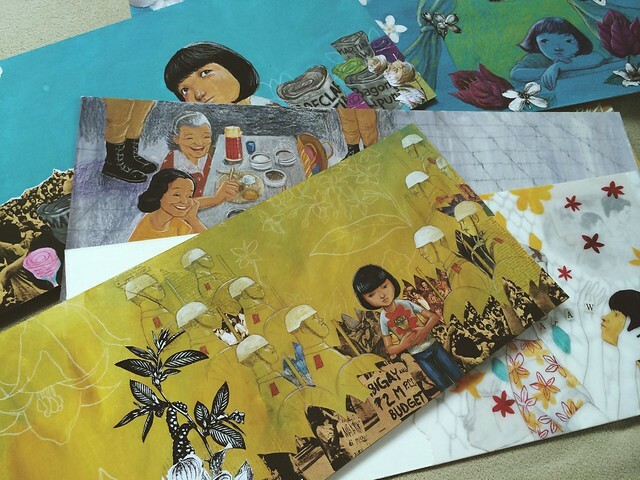 Published by Adarna House, Guardians of Tradition was written by the late Mae Astrid Tobias, photographed by Renato S. Rastrollo and illustrated by me. 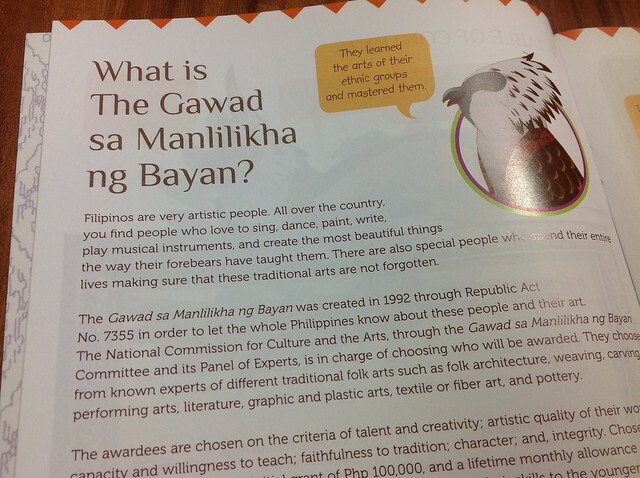 The book features the recipients of The Gawad Manlilikha ng Bayan – an award created in 1992 through Republic Art no. 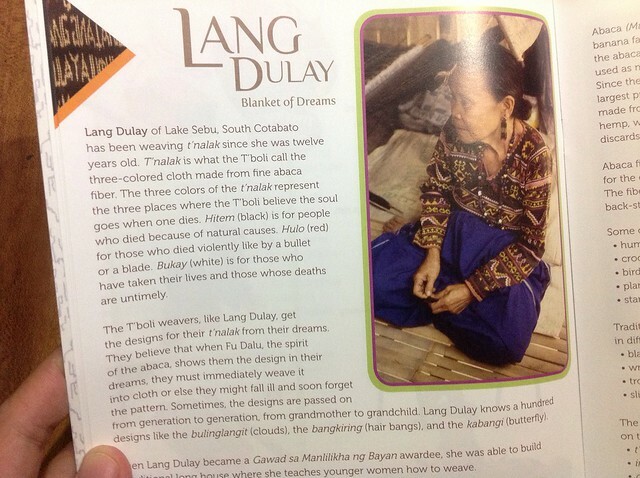 7355 honoring and financially supporting those who have devoted their lives to keeping the practice of traditional Philippine folk arts alive. 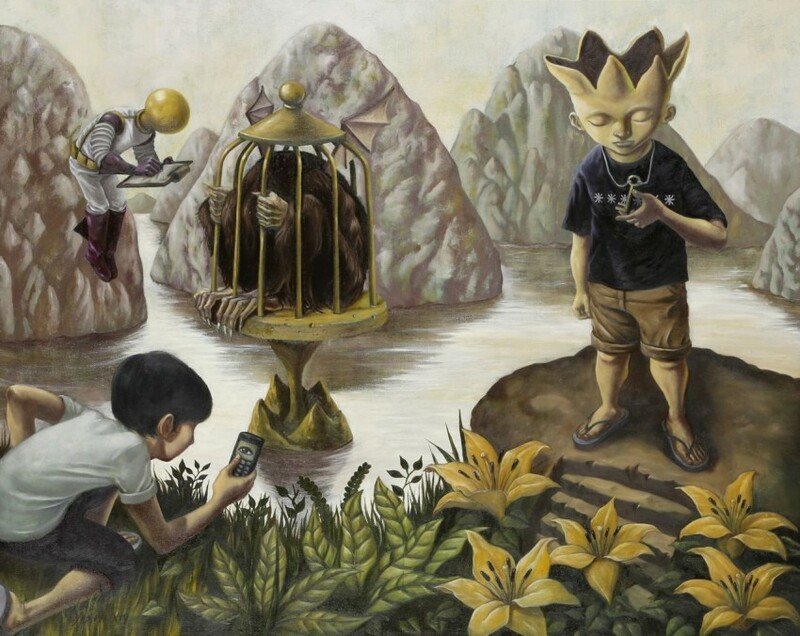 Eleven artists who have excelled in weaving, carving, performing arts, literature, textile and pottery have been profiled along with concise descriptions of their chosen art form. 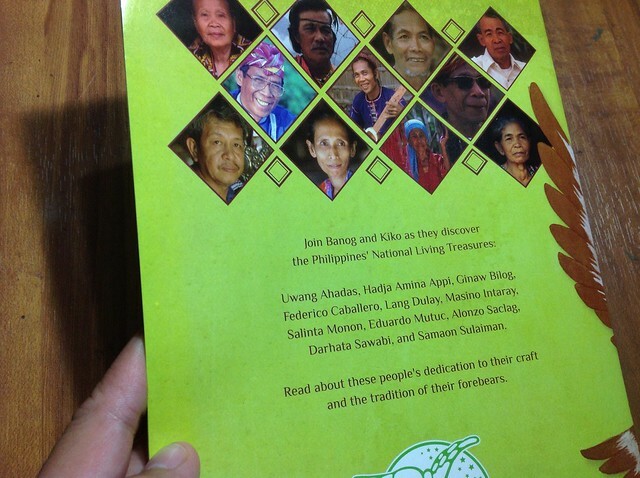 These individuals embody the cultural tradition of the Philippines and sadly, some of them have already passed away. 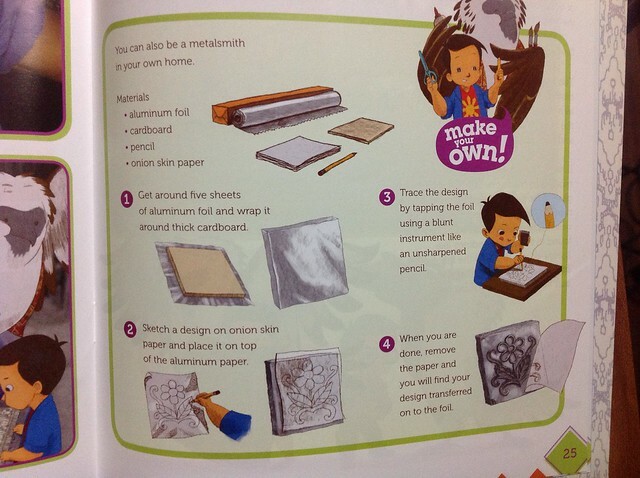 The book also features little activities for children related to the art form of the profiled artist. 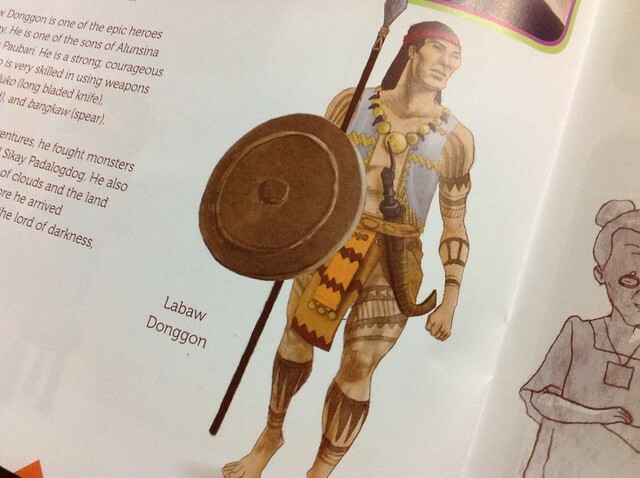 I was glad to work on the project because the book is a great primer for anyone interested in finding out a little bit more about our country’s indigenous art forms. 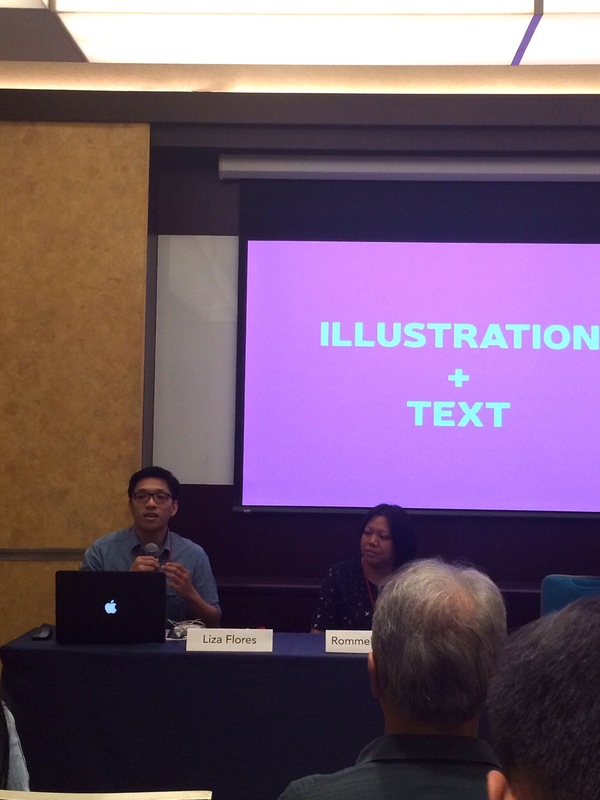 Props to Mae Astrid Tobias for writing this book and a load of thanks to Adarna House (special mention to publisher Ani Almario and artists/designers Eli Camacho and Borg Sinaban) for making the project happen. 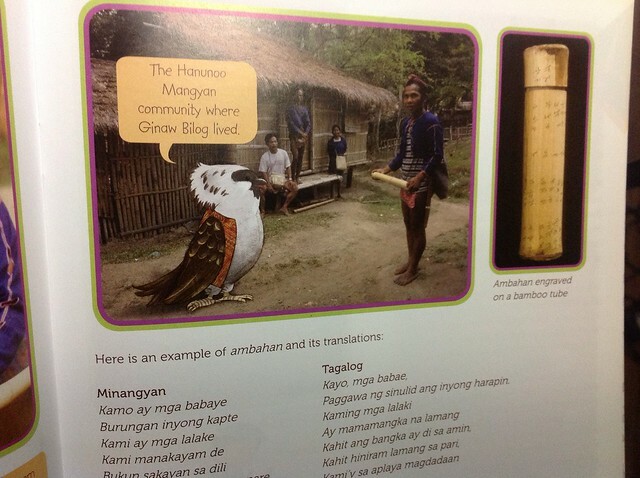 I hope a lot of kids eventually get to read it. 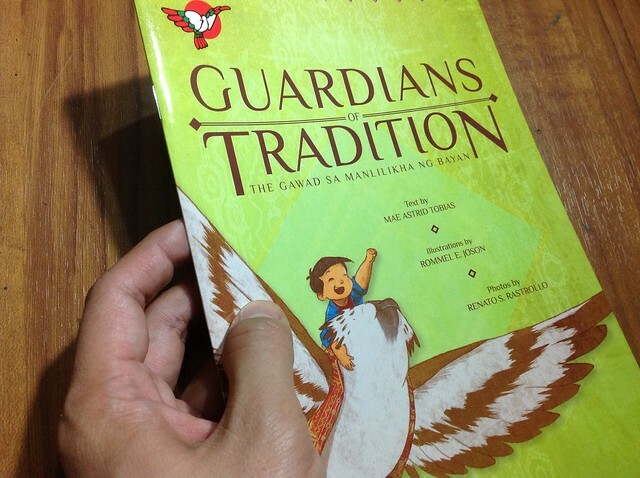 Guardians of Tradition (The Gawad Manlilikha ng Bayan) is available the Adarna House showroom at Scout Torillo corner Scout Fernandez Streets, Barangay Sacred Heart, Quezon City 1103 Philippines and at all National Bookstore Outlets.